Here is Part 9 of Esther Hyams’ wonderful series of poems about the life of Anne Boleyn. After 22 years of marriage, there was no farewell, no loving rhyme. Catherine was moved from place to place, once again a useless pawn. Henry yelled he wanted no letters from her, no more nagging cries. Her New Year’s present of 1532, a gold cup, furiously rejected. Cromwell showed the Catholic wealth and morals so untrue. Now no opposition to Henry’s plans could the church bring. 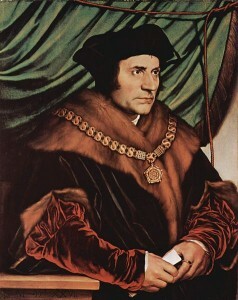 Thomas More resigned as Chancellor with Henry’s reluctant permission. Cranmer could be made Archbishop of Canterbury and better argue their case. Click here to read the next poem in the series: “The King and his Lady”.